Don't sweat the heat. Conquer your warm-weather workouts in this women's training tank top. 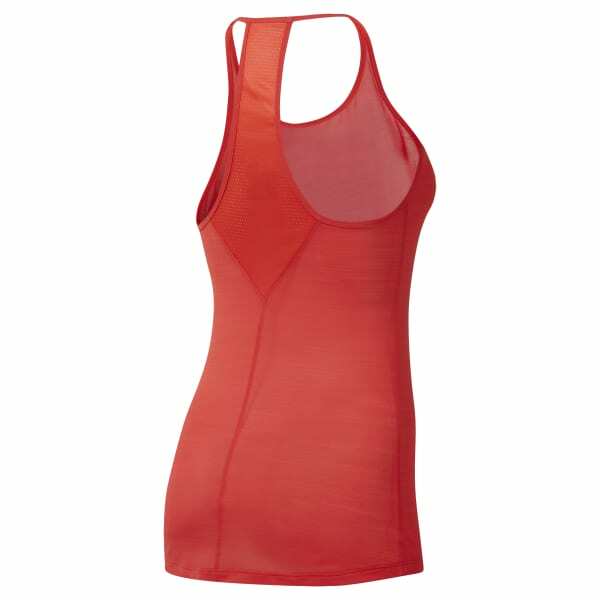 The breathable fabric helps keep you cool, and mesh inserts provide extra ventilation where you need it most. The slim cut gives you a body-skimming fit.